That sounds great, but how do we use it? Well, it's quite simple really. The Tekin Hotwire is a small 2.5cm (1") square box with a servo lead coming from one side and a mini usb port on the other. 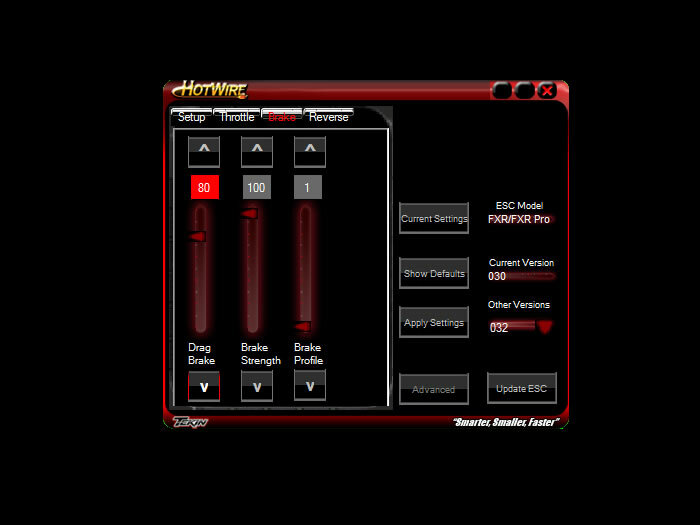 You can download the Hotwire software from the Tekin website which will run on Microsoft Windows XP and newer as well as on an Android App. If you are running a Mac you will need to use Bootcamp or Parallels. For this article we'll refer to your PC/Mac/Android as "computer" to simplify things. The first step is to unplug your Tekin ESC from your receiver and plug it into the servo extension coming from the Hotwire and turn on your ESC. Next plug the usb cable into your computer and the other end into the Hotwire and start up the software on your computer. 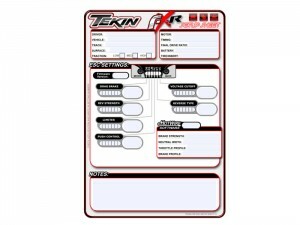 Once the software has connected to your Tekin ESC you will have a number of different options available to you. The following is for programming a Tekin FXR/FXR-Pro. 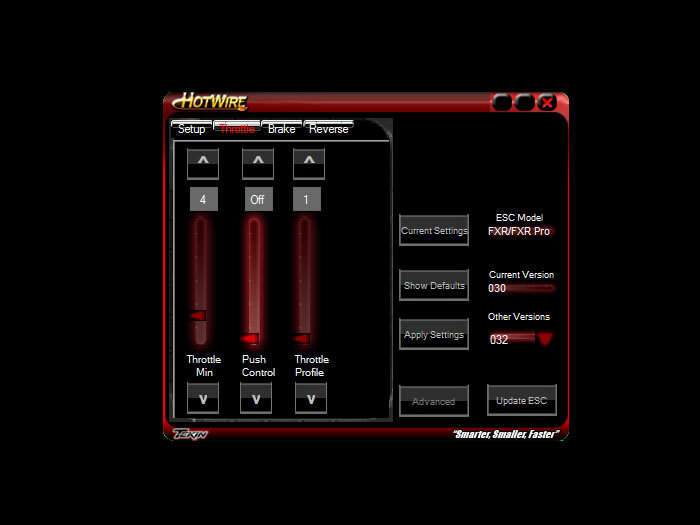 The screens may be slightly different depending on which ESC you are programming or which version of the Hotwire software you are using. First look in the lower right corner for an "Advanced" button. Clicking on that will show you the current version of the software on the ESC as well as any other versions that are available to install. It is typically recommended that you update to the latest version to take advantage of the latest features. To update, simply choose the version you want to update to and click the "Update ESC" button. 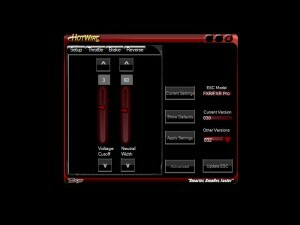 It will reset the ESC to factory defaults with the new version so if you have already programmed the ESC using either the buttons or the Hotwire you should take note of your current settings before doing this. Note that on all the screens below, hovering over the slider title at the bottom will give you a definition of the term and what it does. Right clicking on the sliders gives you a context menu with multiple choices including default values. Voltage Cutoff – Voltage Cutoffs are necessary when using LiPo batteries to prevent irreversible battery damage. Use the predefined voltage cutoffs for 2S and 3S Lipos, or use the custom voltage cutoff to exactly set voltage levels on performance packs. Neutral Width – Neutral Width adjusts dead band around neutral. 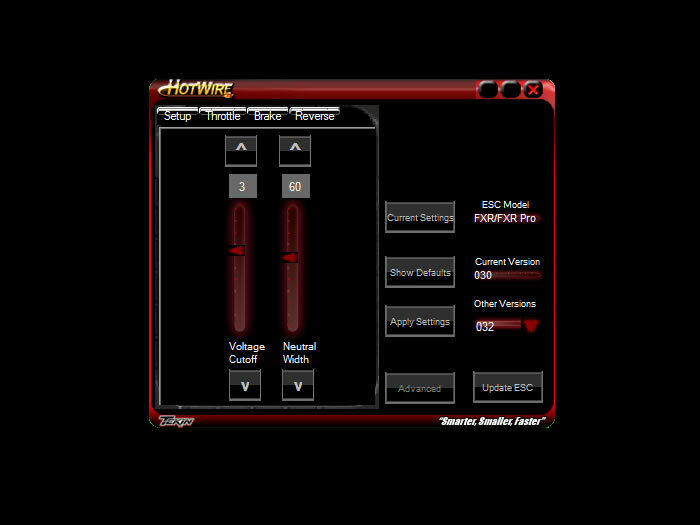 Lower values provide sensitive trigger response, higher values allow slight trigger movement before engaging throttle. Throttle Min – Throttle Minimum adjusts how strongly the throttle comes on when leaving neutral. Higher values will cause the throttle to come on more strongly, lower values more softly. Push Control – Push Control, or Anti Drag, overcomes the natural drag of brushed motors when in neutral. Low values provide short duration coasting, high values give longer durations. Throttle Profile – Throttle Profiles affect how the car responds at different trigger positions. Concave profiles provide better traction control on loose surfaces, and convex profiles provide better control on high speed tracks. Drag Brake – Drag Brake provides braking when in Neutral, slowing the car down when you let off the trigger. Higher values increase the amount of Drag Brake. Brake Strength – Brake Strength affects how much braking action is applied to the wheels. Higher values increase braking force, lower values decrease braking. Brake Profile – Brake Profiles affect how the car responds at different trigger positions. Concave profiles provide better traction control on loose surfaces, and convex profiles provide better control on high speed tracks. Reverse Type – Reverse Type determines the behavior of the motor, forward only, forward/reverse, or forward with delayed reverse. Reverse Strength – Brake Strength / Reverse Strength adjusts maximum brake strength and reverse speed. Higher values increase both brake strength and reverse speed. The Tekin Hotwire allows you to quickly and easily program more functionality into your Tekin ESCs and keep them up to date with the latest changes from Tekin. Beyond that, it lets you make much more detailed changes to your ESC than what you can do with just the buttons on the ESC. If you are a racer you will love the ability to create setup sheets for all the locations you visit so that when you go back you can pull out your sheets for that track and get a jump start on your setup. If you are a newbie, you can network with other Hotwire users to get their setup sheets and get a head start in the right direction. 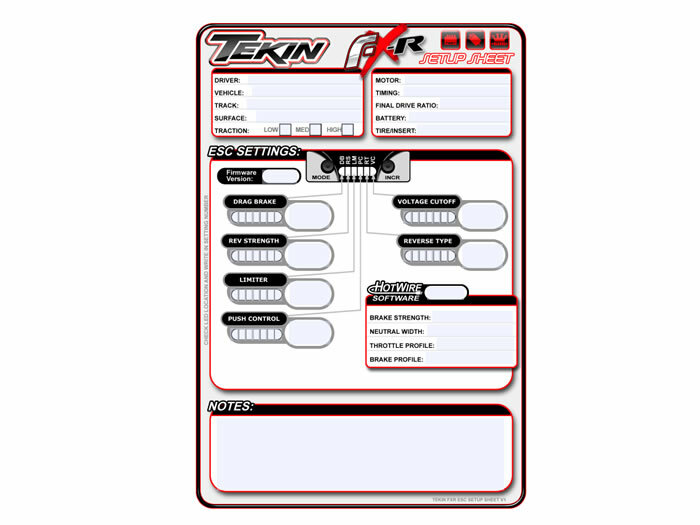 On the Tekin Hotwire website you can also find PDF setup sheets for the Hotwire capable ESCs so you can print them off and keep track of the settings you have tried at various locations. You can also share these with others who also have Tekin ESCs for when they go to visit similar locations. The idea is mostly for racers but it can apply to crawlers as well. 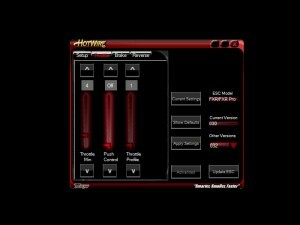 The Tekin Hotwire really is worth the investment as it allows you to totally change your ESC's performance to enhance the way you drive and to match the environment you are driving in.